For those recipes close to an Italians heart - or anyone's herat really. Our I Could Tell You the Recipe... 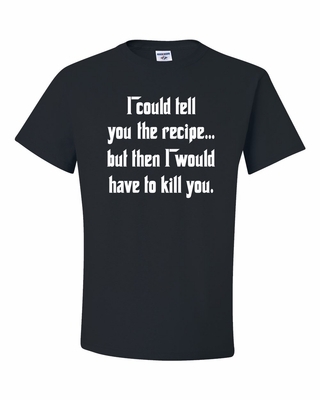 But then I would have to kill you shirts make great gifts too - for mamma! Remember� you found the I Could Tell You the Recipe Shirts at TShirtHub.com, where high quality came at a low price.